Last week a strange news invaded the web. 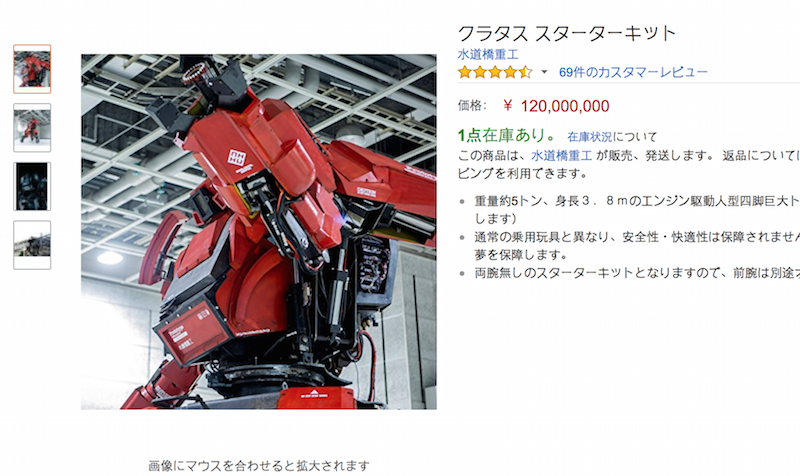 On Amazon Japan it’s now possible to buy a personal robot, that you can actually drive and control as a car, and use the not lethal weapons the robot is equipped with. 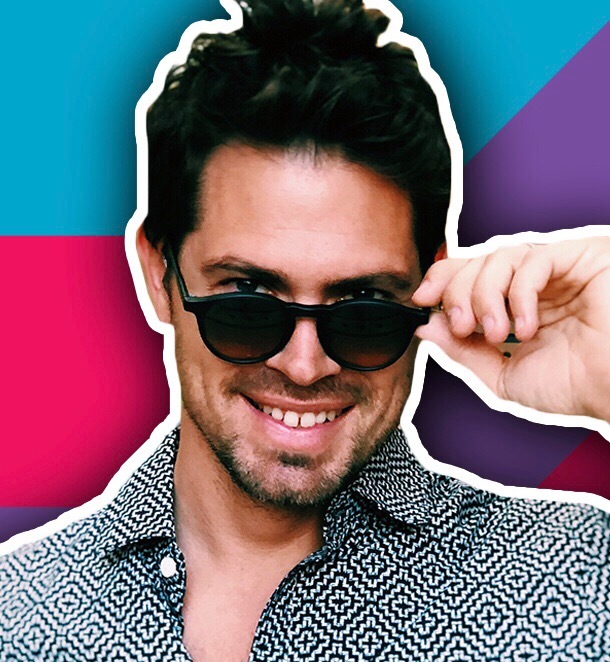 The robot price is “just” 1 million dollar and a futuristic video tutorial showcases also all the features available on the vehicle and how to use it properly. It looks like a joke or something from the “Robocop” movie, but AI and robots are a really trending topic today and the new land of conquer. Many companies are investing in R&D, including Google and Facebook, to discover how robots will help our lives in the next years. 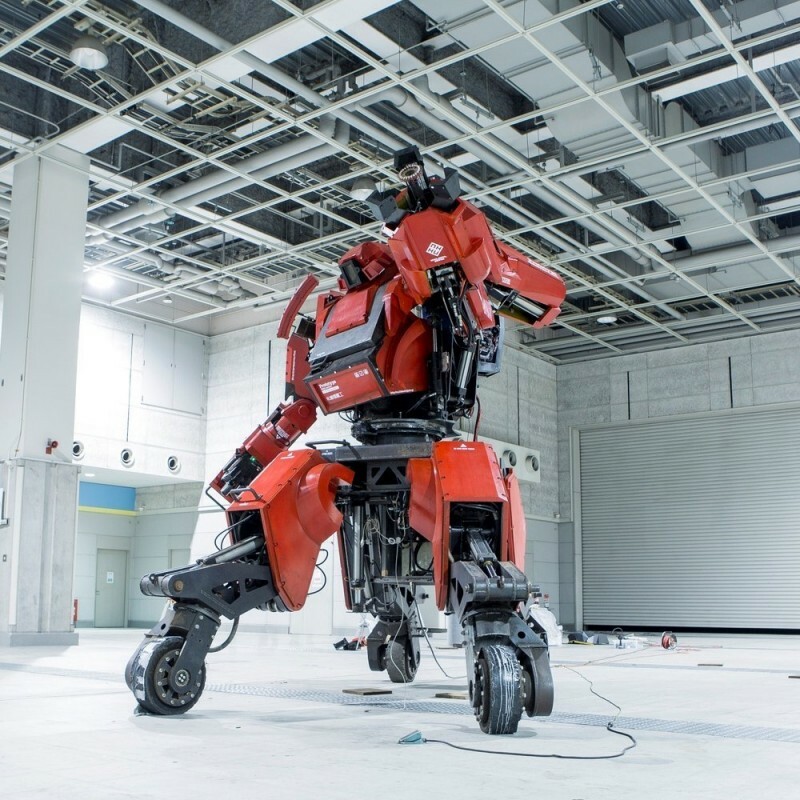 Kuratas, this is the name of the robot, was created in 2012 by Suidobashi Heavy Industry, a Japanese company. The vehicle weighs approximately 4,500 kg, and is around 4 meters high. It can be crewed by one person. The operator would sit in the “body” of the robot in a seat, with the control device in front of him. The Kuratas can also be controlled externally by remote control using the 3G connectivity and Kinect controls. Below is the video guide. If you are thinking about buying it be sure to have a high car garage!